As the capital of Japan, Tokyo is a familiar tourist destination to many. While the sheer volume of things to do in everyone's favorite high-tech metropolis can be staggering, so too can the crowds. However, Trip101 has an itinerary perfect for people who want to get away from the crowds of common tourist attractions without even leaving the city. Asakusa is a notable spot in the capital city where you can soak in the old Tokyo atmosphere. But it is always packed with people shopping at Tokyo’s biggest souvenir market and visiting the oldest Buddhist temple in Tokyo. To really get away from the hustle and bustle of the modern city, head to the peaceful temple town of Shibamata (柴又) about a 30-minute train ride away from Asakusa! The moment you step out of Shibamata Station, you will come face to face with a bronze Tora-san statue. He is the leading character of a popular Japanese film series “Otoko wa tsurai yo” (男はつらいよ) that was filmed in this beautiful town. As you stroll along the charming Taishakuten Sando, Shibamata’s Nakamise Dori, find plenty of yummy snacks, such as dango dumplings and senbei crackers to nibble on, and interesting traditional souvenirs to bag home. Enjoy the walk with nostalgic views of Edo-style buildings as you approach Shibamata Taishakuten (柴又帝釈天) - the grand Nichiren-sect temple established since 1629. Go past the main temple gate with impressive wooden carvings, and marvel at the beauty of the ancient architecture. Behind the main building is a walkway leading to the exquisite Japanese garden where you can seek solace in the amazing landscape. 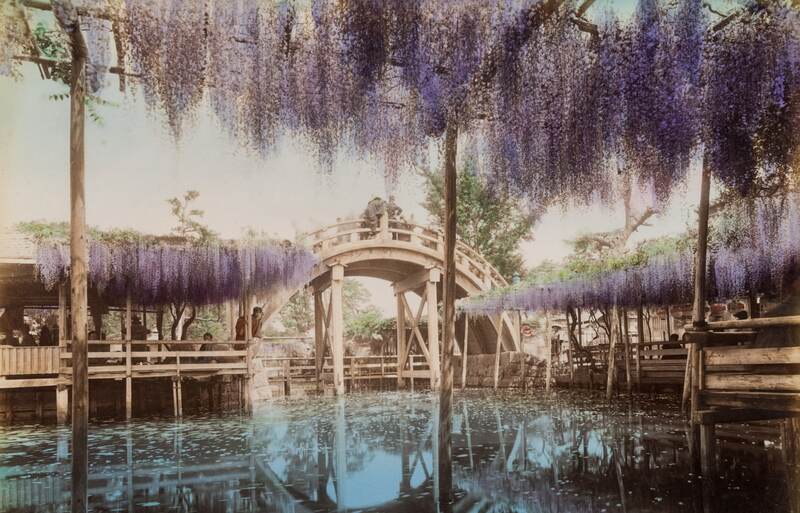 Visit Shibamata Taishakuten and you will understand why the ancient beauty is listed as one of the 100 Soundscapes of Japan. Ginza and Harajuku are well known shopping districts in Tokyo catering mainly to the young and trendy. Do you know that there is also a shopping district touted as the “Granny’s Ginza” or “Old Ladies’ Harajuku”, just a little north from Shinjuku? 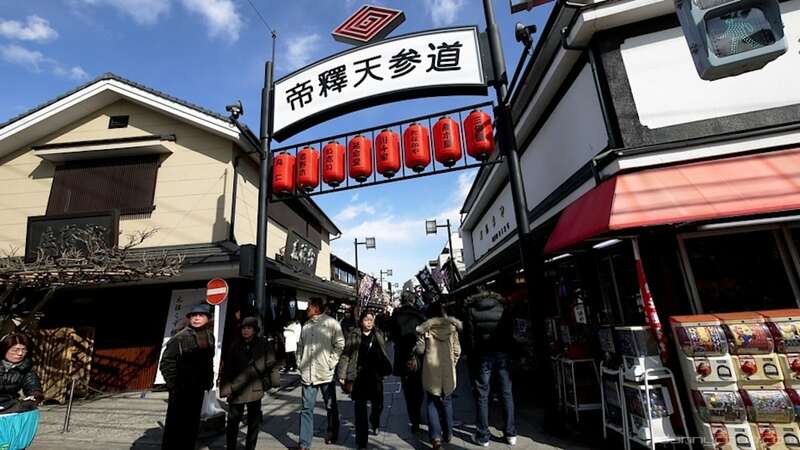 Located along Tokyo’s JR Yamanote Line, Sugamo (巣鴨) is this legendary shopping district lined with over 200 shops on the 800-metre (2,625 foot) long Jizo Dori shopping street. Find hand-knitted clothes, traditional foods and goods marketed towards the elderly here. Try the most popular traditional sweet, Shio-Daifuku when you visit Sugamo. The pounded rice cake contains sweet bean paste and salt to moderate its sweetness, making it a unique sweet that keeps you craving for more! Located in the east of Tokyo is another lesser known Monzen-Nakacho district, which is home to the Tomioka Hachimangu Shrine (富岡八幡宮). Also known as Fukagawa Hachiman, the Shinto shrine is famous for its Fukagawa Hachiman Matsuri, a grand festival held every 3 years. If you have been to the UNESCO World Heritage Town of Nikko, a small mountainous city north of Tokyo, you would be familiar with the mesmerising landscapes around Toshogu Shrine and Shinkyo Bridge. Visit Tomioka Hachimangu Shrine just a convenient 30-minute ride from Shinjuku instead of taking a 2-hour train ride out of Tokyo! The enchanting beauty here with its huge torii gate and beautiful red bridge by the Benten-ike Pond easily rivals the scene you get in Nikko. Don’t forget to check out its "ichi-no-miya" mikoshi (portable shrine), the biggest mikoshi in the Kanto region.